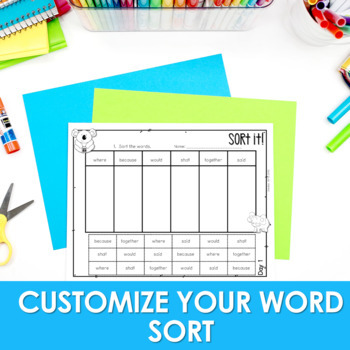 Sight Words Intervention 2 BIG WORDS ~ Editable! Help Me! Help You! 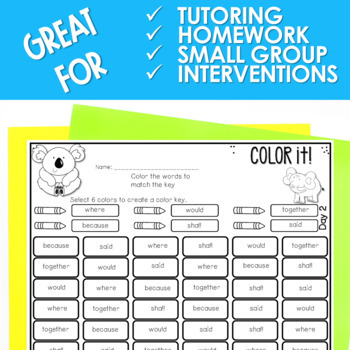 Intervention THE BUNDLE ~ Editable! Help Me! Help You! Sight words interventions and more. NOW WITH MORE WORDS AND UP TO 10 LETTERS. Want to try it for EARTH DAY FREE for a week? See the product preview! 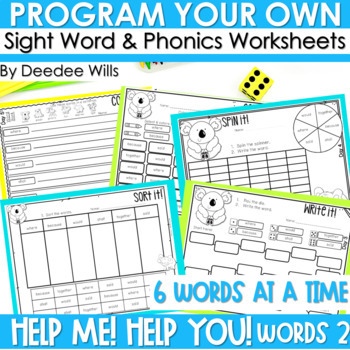 Target student instruction to THEIR needs with 6 focus words per page that you program in. You will just type the words in 6 boxes (ie because, instead, everywhere, should, which, fantastic). I have programmed this document to then import these words onto every page. Next you will select one of the theme you want to use for the week and hit print! It will take you less than a minute to have your sight word interventions and work prepared! This product will accommodate words that are 10 letters long. NOTE: "m" and "w" will count as 1.5 space. 2. Once you download the file, close all of your internet browsers, then open the file. The ADOBE app will not let you edit the file with the correct fonts. 3. Be sure your ADOBE is up to date. Please let me know if you experience difficulty. Sight Words intervention ~ Editable! Help Me! Help You! Save 35% on the bundle! 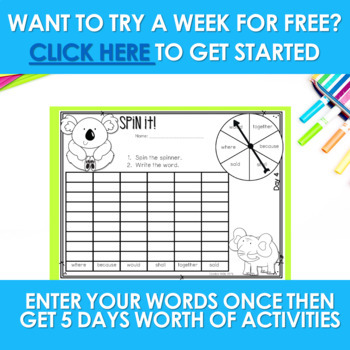 Sight Words Intervention THE BUNDLE ~ Editable! Help Me! Help You! Or save 35% on the bundle!